I’m Laurie Goldsmith and I as I watch that video for the third time, I find myself so tempted to sign back up again for another Team Friendship event. Let me explain why. Years ago I set a goal for myself of running a half marathon. I have always been athletic and competitive but had never been a distance runner. My husband Bruce and I were in Chicago for business and it happened to be the day of the Chicago marathon. When I saw the runners back at the hotel and the excitement they shared, I knew I wanted to experience that. It was on my bucket list. My bucket list was not aware of a challenge I was about to face. I started to train for the Hartford half marathon in 2003 but had trouble breathing. Long story short, for 11 years I was misdiagnosed with asthma when what I really have is a rare disease called subglottic stenosis. For 11 years I struggled to maintain my normal life and exercise routine as my trachea slowly closed from this condition. Each year I modified my exercise but was able to do less and less. In December 2013 I got to the point where I could not walk up the stairs without gasping. With the help of an incredible team of doctors here and in Boston, I was correctly diagnosed and treated with 4 surgeries to date. Immediately after my first surgery I was breathing better than I had in years and I began to run, first 2 miles, then 3 then 4 and on Mother’s Day last year I ran 6 miles with my son Alex and my daughter Brooke by my side. It was at that point that I thought maybe it was time to look at my bucket list item again. I was scheduled for my 4th surgery in November 2014 and the day before that I saw a post that Shayna put on FB about the Team Friendship Half Marathon in Miami. Medically the timing was going to be perfect for me because each surgery I have gives me 4-6 months of easy breathing. I called my daughter Brooke in college and asked her if she would run with me. Brooke volunteered with Friendship Circle for 4 years and I knew that this event would have so much meaning for both of us. I cleared the run with my Dr at Mass General before my surgery and booked my flights and Brooke’s while still slightly groggy from anesthesia. Brooke and I trained “together”. She was at Lehigh and I was running at the JCC but we would text each other our progress. When she was on winter break we ran together. There was lots of online support from Team Friendship in terms of fundraising and training as well. As you know, this was a rough winter to be a runner and Brooke and I would motivate each other to get ourselves to the gym and figure out how to outsmart the treadmills that only wanted you to run for 1 hour. During a particularly challenging 11 mile treadmill run, I started to think about the challenges I have faced with my health and with my training and then I started thinking about Friendship Circle…the kids, the families and the programs that are offered. 1. Miami in January-need I say more! 2. Great motivation to stay in shape over the winter. 4. 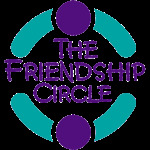 Help raise money to fund the great programs that Friendship Circle does. Your local chapter of Friendship Circle does benefit from the funds you raise. This event is whatever you want it to be. You can stay at a hotel with the team and attend events from Friday afternoon until Sunday night or you can stay on your own. Brooke and I chose to stay with family nearby and went to some of the events sponsored by Team Friendship. Team Friendship provides meals, shirts and transportation. They are organized and excellent communicators. They make it very easy for people to be a part of this. This is probably one of the most special times Brooke and I have shared together. We accomplished goals that we set for ourselves but also did it raising money for a program we both feel so passionate about. I encourage all of you to consider running this race and would be thrilled to talk to anyone who has questions.